For all of its original architecture and the many historical attractions of Poland's long history, a visit to Krakow makes for a rewarding family weekend destination. 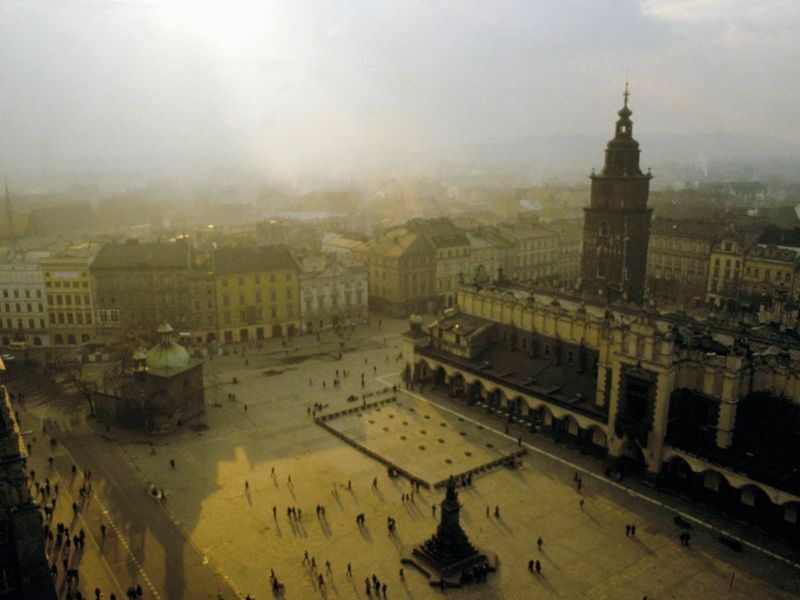 The mere mention of Krakow, Poland invokes sighs from many people, partly because of its reputation for charm and authenticity. Unlike Warsaw, Krakow (also written Cracow in English) in the southern area of Poland, was not bombed during World War II and thus many of its historic buildings remain intact, giving the city an intriguing combination of past and present. Whether your family is into art, flowers, shopping or people-watching, there is something for every family member to savor in Krakow. I must admit, however, that I felt some disappointment when I arrived in Krakow. First, scaffolding covered the historic Cloth Hall, used since the 14th-century as a trading place for textiles. That’s on one side of the city’s renowned Market Square. Across the way, the presence of a Hard Rock CafÃ© detracted from the area’s medieval quality. For a symbol of the old Poland and the new, it is hard to beat the juxtaposition of the contemporary American burger shop on the opposite side of the street from St. Mary’s Church, home to one of Poland’s most famous traditions. At St. Mary’s Church, every day at noon, from the four openings in the church’s tower a bugler blows his horn and then he stops, mid-tune, as did a bugler centuries ago when he warned the citizens of Krakow that the Tartars were on their way. The bugler was killed by an arrow but his song saved many lives as it enabled many citizens to flee. 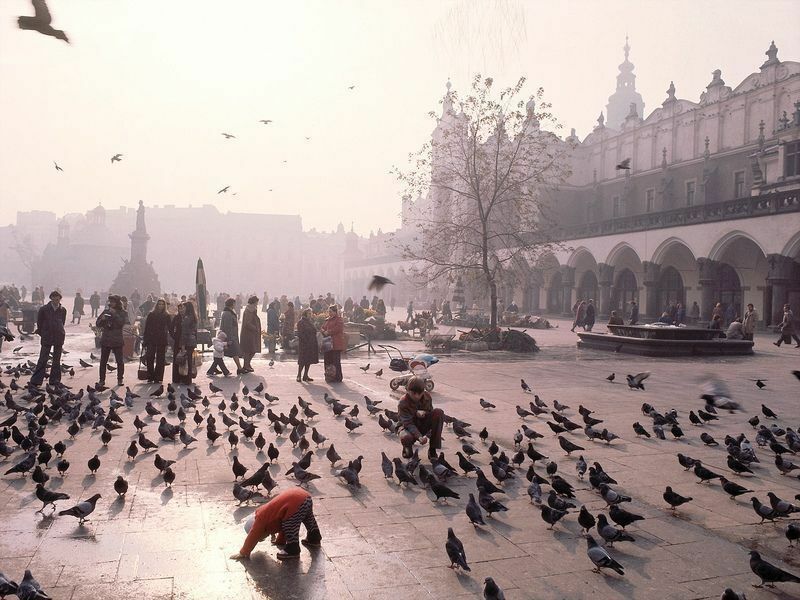 It is stories like this one that make Krakow come alive for families. For a sense of what Krakow looked like before World War II, a visit to Kazimierz, one of the oldest parts of town, is recommended. Here you will find a museum of folk art as well as remnants — a synagogue, cemeteries — of what was once a vibrant Jewish community. But it’s the quaintness of the place that appeals. It takes 10 minutes to walk around the entire central square, home to numerous cafes some offering concerts of klezmer music, and galleries. Much of Kazimierz’s success and fame can be traced to film maker Stephen Spielberg who made his memorable movie about the Holocaust, Schindler’s List, in Kazimierz and the surrounding countryside. Market Square has a very lively flower market where vendors sell home-grown posies in season. Flowers are obviously very important to the Polish way of life. It is not unusual to see the female half of a couple strolling with a fresh flower in hand. Homes and restaurants are decorated with real flowers, paper flowers, wooden flowers and stencils in a floral motif. From the gardens of Wawel Castle, where Polish royalty once lived, there’s a panoramic view of Krakow. The building itself has been added to many times and as a result is an architectural mutt — part Gothic, part Renaissance, part Baroque. Inside the Castle is a large and splendid collection of tapestries made from silk interwoven with gold and silver. 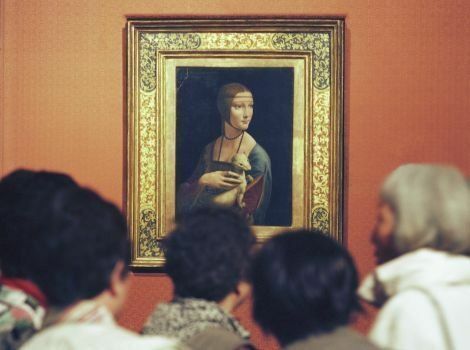 It would be a pity to leave Krakow without visiting Leonardo da Vinci’s exquisite painting “Lady With An Ermine,” at the Czartoryski Museum. She is even more elegant in person than in art books or on postcards and the whole family will enjoy a stroll through the galleries. If shopping is on your itinerary, then Krakow is the place to buy carved wooden flowers, dolls, and, particularly, fossilized resin from the Baltic Sea, more commonly known as amber. Colors vary — the lighter, yellow-hued kind is older than the browns; a round shape is the most prized and priced accordingly. To make sure that you are buying the real thing, as opposed to the junk sold at kiosks in the Market Square, be sure to ask for a certificate of authenticity. The real stuff is sold at several jewelry stores along Kanonicza Street. 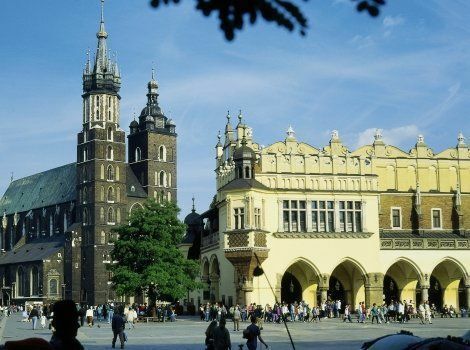 There are several interesting day trips that can be made from Krakow, either by private transportation or with a tourist guide. For instance, the consider visiting the Kopalnia Soli Wieliczka Salt Mine whose deposits date from the Miocene Age. The mining of salt there began in the 13th-Century. There’s a modest entrance fee for visitors willing to don a hard hat, warm clothes and sensible shoes (preferably rubber-soled) as there are thousands of steps to climb down. Fortunately return to the surface is by elevator! Miners used to ascend and descend the mine by ropes. The mine is a trove of surprises, the greatest of which is a vast hall (the size of at least one football field) with carved reliefs and statues. Not far from Krakow and accessible by public transportation is O?wi?cim which we know as Auschwitz/Birkenau, the concentration camp where 1,500,000 Jews were murdered in gas chambers during World War II. Now a museum, this destination is not for everyone, certainly not young children. Once the capital of the entire country, it’s true that Krakow no longer plays an important administrative role in contemporary Poland. However, traditional life can still be appreciated in the mysterious streets of the Old Town and the Kazimierz district. Families with older kids will especially enjoy the cafe culture that blossoms in warm weather, so we recommend that you choose a hotel near to the Old Town so you can walk and walk and explore the best of this city. (+48/12/2992900) is located at Ul. Tadeusza Kosciuszki 5, 30-105 Krakow, Poland, opposite the beautiful Wawel Castle. It’s a pretty, tree-lined part of town, just a few minutes’ walk from the Old Town. Family rooms are available with two doubles and a sofabed, accommodating four pretty comfortably, and they have Wi-Fi as well. There’s a lobby play area, friendly staff and a Garden Brasserie for Polish and international specialties; note their kids’ menus offer well balanced and nutritious meals. Indoors, the family can take advantage of a swimming pool, sauna and jacuzzi, and time permitting, a massage at their small spa. As at other Novotels, there are special family perks all year long: Families can take advantage of special weekend rates; get a late check-out up to 5pm on Sunday; receive a special welcome gift; and get kids’ accommodation and breakfast free for two children under the age of 16 staying in their parents’ or grandparents’ room and having breakfast together. Rates start from under $ per night in low season. A word or two about daily life in Poland: Although the country is a member of the EU, the currency is still zlotys. This means that Poland is generally less expensive than other European countries. If reading the menu is a problem — in fact Polish for a non-native is always a problem as words tend to resemble a Scrabble game with no vowels — you can point to what’s on the next table. Poles want you to enjoy their food as well as their culture and their country. 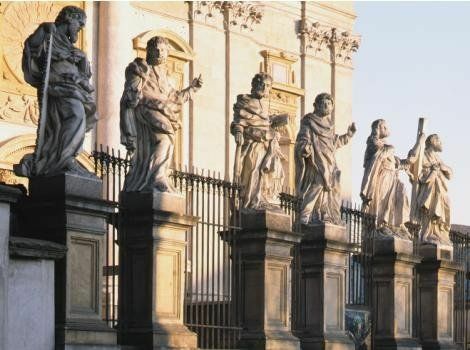 For more useful information about Krakow visit its official Krakow Tourism Website. For more information about the country overall, visit the Poland Tourist Organization website.